I'm co-founder of FIV Cat Rescue, an educational nonprofit focused on FIV. We debunk myths & provide educational materials and tools. Finding a home or rescue to take an FIV (Feline Immunodeficiency Virus) cat can be difficult because of the myths on the Internet. Here, I'll list shelters, rescues and sanctuaries that take FIV cats to help you find a safe place for your rescue or beloved cat. Many shelters kill cats that test positive for FIV antibodies -- this needs to stop because FIV is really no big deal. FIV cats can live long, healthy, happy lives with this diagnosis. Most never get sick and usually will die of the same old-age disease as Non-FIV cats. If you have rescued an FIV cat or have one that you simply can not keep yourself, this listing will help you. It is a list of the Shelters, rescues and sanctuaries that take FIV cats. This is only the beginning. I will continue to add places that find homes for FIV cats or are sanctuaries for them. More rescues and shelters are changing their policies every day as they learn more about this virus. I will also add websites where you can list your FIV cat for adoption. FIV Cat Rescue is not affiliated with any of the organizations listed on this website. They were found through our own internet research, and the research or recommendations by others. 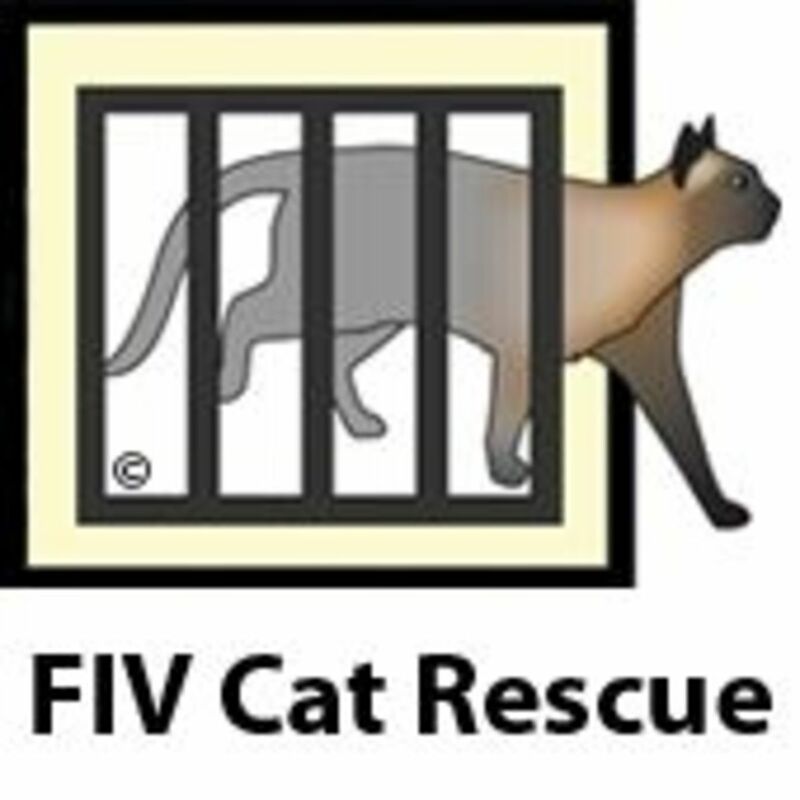 FIV Cat Rescue has not visited any of the organizations, and has no personal experience or knowledge regarding the adherence to their stated policies, upkeep, and the well-being of the cats that are in their care. FIV Cat Rescue offers these links optimistically as a service. although we strive to keep the list current, please contact the organizations directly to find out if they are still a viable resource for your FIV cat. It is up to you to do your due diligence before placing a cat at any of these organizations. We can not impress this responsibility upon you strongly enough. The cat(s) you place in their care are counting on you! FIV Cat Rescue assumes no liability for the misuse of the information contained on this website. A final note...You can be of help to all if you have verifiable knowledge that would indicate taking an organization OFF of this list. 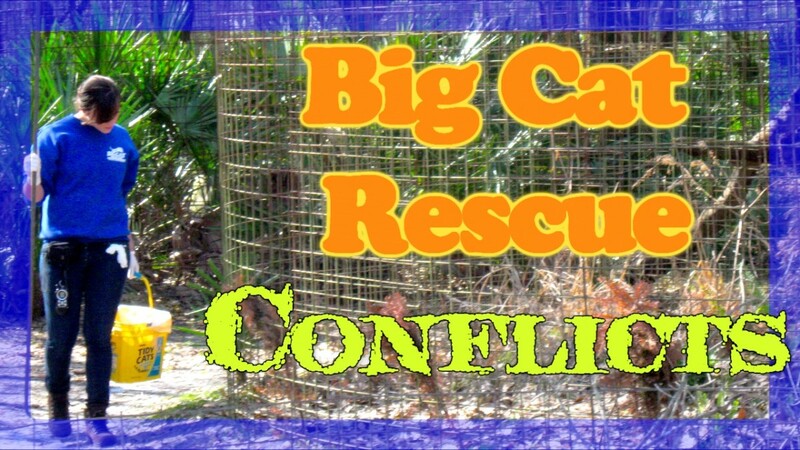 Contact FIV Cat Rescue with the specifics. 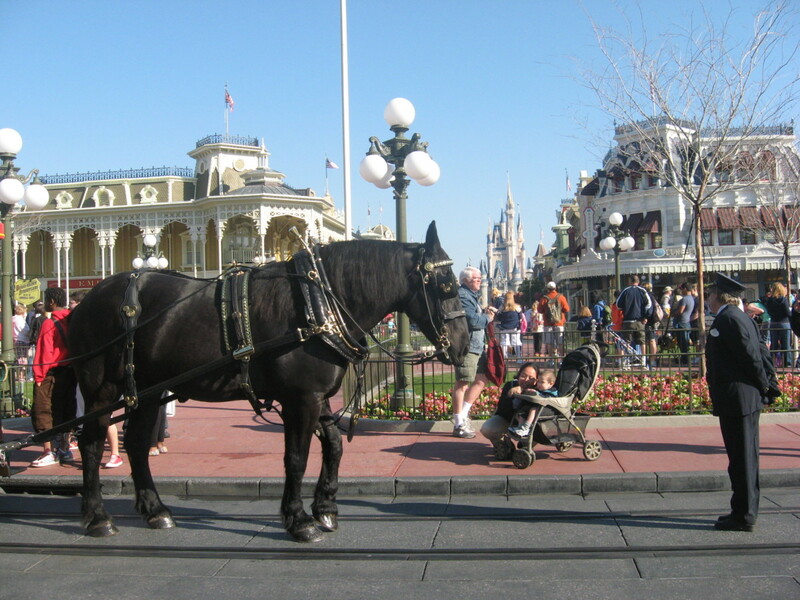 It lists tens of thousands of groups, helping all breeds of dogs, cats, horses and other animals, in over 150 countries. The site also features a worldwide directory of wildlife rehabilitators. They do not separate them by FIV, however, so once you find a shelter near you, carefully read what their description. Normally, if they take FIV cats, they will say so explicitly. Good luck! Oakland, CA 95602 Phone: 510-710-9250 Email: mainecoonadoptions@gmail.com Facebook: http://facebook.com/MaineCoonAdoptions California-based no-kill cat rescue. 4575 E. Mesquite Ave. Palm Springs, CA 92264 Phone: (760) 416-5718 A municipal, open-admissions, public shelter serving the city of Palm Springs, CA and operates under a no-kill philosophy. Second Chance Kitty is a small, foster based non-profit organization located in the San Joaquin Valley dedicated to assisting cats, kittens and an occasional dog, escape a life of abandonment, neglect and abuse. 4663 Petaluma Hill Road Santa Rosa, CA 95404 Phone: (707) 836-3000 Special Needs are precious. The mission of Rocky Mountain Feline Rescue, as a non-profit, no-kill, cage-free cat rescue and shelter. The shelter provides care for abandoned, abused and neglected cats and kittens until permanent homes can be found. Fort Collins Cat Rescue & Spay/Neuter Clinic, Fort Collins, CO. 11K likes. Dedicated to making every pet a healthy and wanted pet! View adoptable cats:They do take cats from other shelters but try to focus on local cats first. Angels with Paws - Lakewood, CO.
4023 Kennett Pike Greenville, DE 302-429-0124 Forgotten cats - a cat and kitten adoption and re-release program. We trap, spay neuter, and release stray cats, feral cats, and homeless cats. We are a humane, no-kill organization. 3040 State Road 590 Clearwater, FL 33759 Shelter: 727-797-7722 Pet Clinic: 727-791-6782 No-kill shelter. Limited intake, but the pets they commit to they commit to for life. Lucky Cat Adoptions - Fleming Island, FL. Founded in 1999, APA is an all volunteer, no-kill rescue for homeless cats and kittens only. APA has no paid staff, and is all volunteers. 1125 Old Dixie Highway, #8 Lake Park, Florida 33403 Will take stray FIV kitties (no owner surrenders) from Palm Beach County, FL., space permitting. 2727 Conroy Rd., Orlando 32839 2800 County Home Rd., Sanford 32773 407-351-7222 The Pet Alliance of Greater Orlando operates two pet adoption shelters, low-cost Veterinary clinics and a full range of community outreach programs. Helping Paws Animal Sanctuary - Saint James City, FL. Furkids. Inc. - Atlanta, GA.
Good Mews Animal Foundation - Marietta, GA.
H.E.A.R.T. Hardin Eldora Animal Rescue Team. PO Box 321 Frankfort, IL 60423 Phone: 708-325-8581 Email: luluslocker@gmail.com Facebook: www.facebook.com/luluslockerrescue Lulu’s Locker rescues the most overlooked, highly euthanized companion animals . Highland Animal Shelter 510 Monroe St. Highland, IL 62249 Tel: 618-654-6067 email: jeff@highlandanimalshelter.com or sandy@highlandanimalshelter.com Highland Animal Shelter is a no-kill facility where the hungry are fed. OUR MISSION is to try to make people aware of the importance of picking the animal that is right for you and then doing right to that animal for the rest of its life. 702 East 11th Street Jeffersonville, IN 47130 (812) 283-6555 Founded in 1999, APA is an all volunteer, no-kill rescue for homeless cats and kittens only. APA has no paid staff, and is all volunteers. 310 West 45th St. North Wichita, KS 67204 Phone: 316-807-8473 Lifeline Animal Placement & Protection - LAPP, Wichita, Kansas. 7.5K likes. Every day, over 3,000 dogs and cats are born in the United States. 5508 Tanglewood Drive Ann Arbor, MI 48105 Non profit permanent home for kitties with Feline Leukemia (FeLV). Sanctuary for Stray and Unwanted cats that have been diagnosed with FeLV (Feline Leukemia) and/or FIV (Feline AIDS). Located in Battle Creek, MI. Welcome to It's Meow or Never Animal Rescue (IMON), a 501(c)(3), non-profit, no-kill animal rescue organization. We have been operating since 2003. We currently are adopting and rescuing animals in Washington, Tennessee, Florida, Ohio, Michigan, Ind. HFLCS' animal program includes a feline sanctuary, and Saturday mobile adoptions at Petsmart in Springfield, MO. Sponsor a feline or adopt an Canine/Feline. Great Plains SPCA is the Kansas City Metro's most comprehensive No Kill animal welfare organization, serving more than 30,000 needy pets annually. P. O. Box 270326, St. Louis, MO. 636-343-7106 and to discuss an FIV cat, you may also call 314-478-4502. Email: FriskyWhiskers@hotmail.com. 4502 Tower Grove Place St. Louis, MO 63110 Phone: 314-496-3194 Email: info@poundpals.org Spay/neuter assistance, cat aid, low cost shots/services. Stray Haven is dedicated to promoting the health, well-being, and welfare of all cats - domestic, stray, abandoned, and feral. PO Box 1281 Mount Laurel, NJ 08054 Email: RandallsRescue@gmail.com Randall's Rescue is a New Jersey-based, no-kill, non-profit animal rescue. We are also a Federally recognized 501(c)3 non-profit organization. Furrever Friends Rescue and Volunteers, Inc. PO Box 141 Woodbury, NJ 08096 24/7 Hotline: (856) 845-8554 no Email listed. P. O. Box 5424 Albany, NY 12205 email: chuckscatlady@nycap.rr.com. To Get People to adopt cats/kittens. 340 W. 49th St. New York, NY 10101 646-457-2136 email: info@angelliclecats.com Anjellicle Cats Rescue is a no-kill, all-volunteer, not-for-profit 501(c)(3) organization. We are a member of the Mayor's Alliance and a New Hope Partner. 25 Davis Avenue Port Washington, NY 11050 (516) 883-7575 Email: Christinat@animalleague.org North Shore Animal League America is the world's largest no-kill rescue and adoption organization. With your help, we can save defenseless animals each day. Pets Without Parents, founded June 2001, a non-profit, no-kill, all-breed shelter for dogs and cats. Our mission is to place every pet that enters our shelter into a loving, permanent home. Phone: 614-570-0471 Colony Cats is an all-volunteer, non-profit organization whose primary mission is to address cat overpopulation in central Ohio through public awareness and spay/neuter efforts. PO Box 24068 Mayfield Heights, OH 44124 Phone: 440-449-3496 Email: carolineskidz@aol.com A no-kill cat sanctuary in Lake County, Ohio for old, aged, unwanted and abused cats. Also offers spay-neuter programs, pet foster homes, pet adoptions, etc. Main Line Animal Rescue is the country’s leading and most innovative institution in fighting for the welfare and the future of neglected animals. Learn how. Town Lake Animal Center 1156 W Cesar Chavez 512-961-6519 Fax: 866-760-9101 Foster Homes Needed Austin Pets Alive! is always in need of more foster homes. The number of lives we can save is directly related to the number of foster homes we have. No-kill animal shelter Dog & Kitty City offers safety and care to abandoned cats and dogs of Dallas. All animals are adoptable to the right person and home. Pawsitive Karma Rescue was founded on the principle of Karmic Law. One good deed leads to another. Every time an animal is adopted into a loving home we are able to save another animal from almost certain death at the shelter. Wayward Whiskers Cat Rescue was founded in December 2012 to save the lives of cats and kittens that are discarded or unwanted. We then rehabilitate the cats and find their forever homes. Adopt one of our beautiful kitties today! 24950 Spring Ridge Dr bldg b Spring, TX 77886 (281) 528-1238 Texas Litter Control offers low cost vaccinations and low cost spay/neuter in Montgomery and Harris Counties for cats and dogs. P. O. Box 2908 Merrifield, VA 22116 Phone: 703-715-6369 Fax: 70560-9795 Email: info@fourpaws.org 4 Paws Rescue Team, Inc. PO Box 2908, Merrifield, VA 22116 (703) 715-MEOW. Adopting cats and kittens in the northern Virginia area. 352 Sanctuary Lane Palmyra, VA 22963 Phone: 434-842-2404 Fax: 434-842-1308 Email: CFSHome@aol.com Caring For Creatures is a no-kill animal sanctuary dedicated to caring for homeless animals. 5239 Union Mills Road Troy, VA 22974 434-591-0123 The Fluvanna SPCA's mission is to rescue homeless pets from neglect, abuse, and abandonment and place them in good, loving homes. 505 N 6th Ave, Walla Walla, WA 99362 We take FiV, seniors, differently abled (blind, deaf, amputee, etc) and behaviorally challenged (unpredictable, very fearful, etc) kitties and give them a safe place to spend their lives if they're not adoptable. Gildersome Lane Gildersome, Morley Leeds W. Yorkshire, England LS27 7BN Cats Protection, the UK’s leading feline welfare charity, helps around 200,000 cats and kittens every year through its national network of over 250 volunteer-run branches. 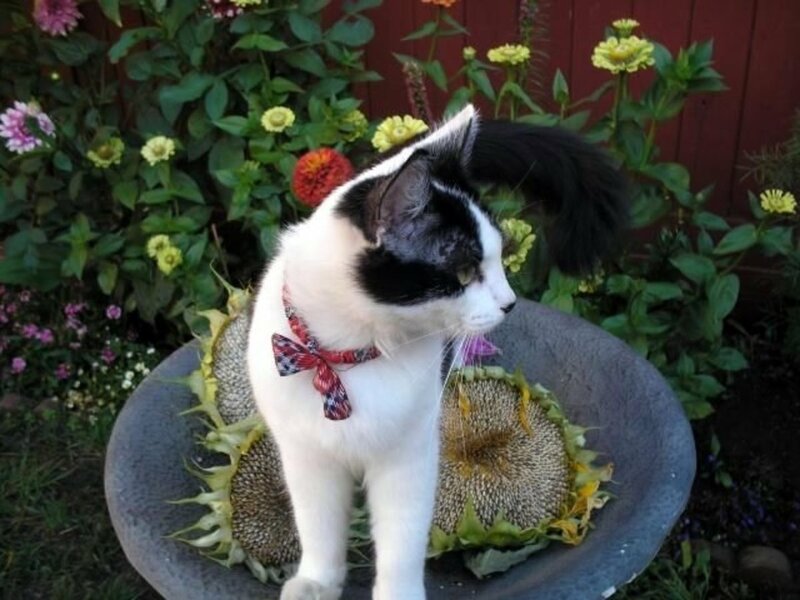 PurringPixieCatResource Â· Help for FELV & FIV Positive Cats This list is for FELV and FIV positive cat info on rescue, transport,rehoming and medical questions. Our Mission is to stop the killing of cats that test positive for FIV (Feline immunodeficiency Virus) antibodies due to misinformation and fear. 1. Work with researchers to create and distribute educational materials to vets, shelters and the general public about FIV. 2. To set up and make available a database of shelters, rescues and sanctuaries that take in FIV+ cats. 3. To provide rescuers and caregivers the tools they need to help stop the killing of FIV+ cats. 4. To provide the assistance needed to find forever homes for FIV+ cats. 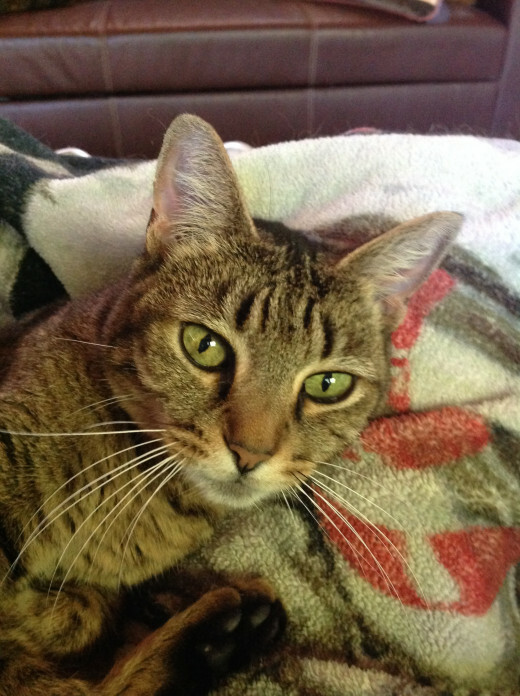 "Testing positive for FIV antibodies should not be a death sentence. 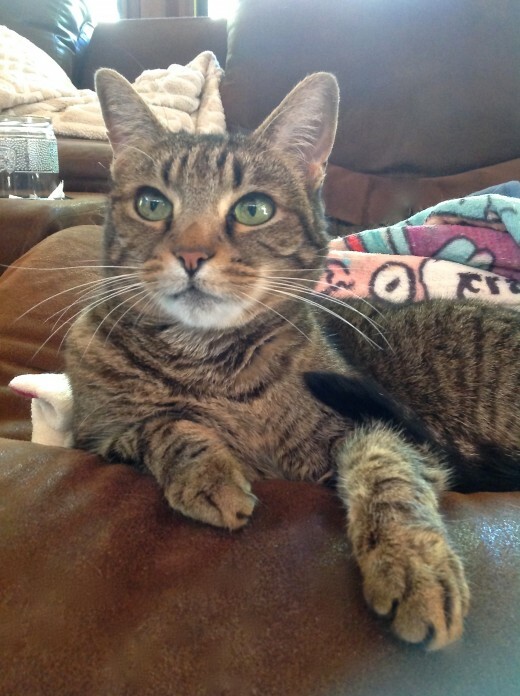 Most FIV+ cats live long, healthy lives." Join us on Facebook by clicking the link below. Please let me know if this is helpful to you and what could make it even more helpful. 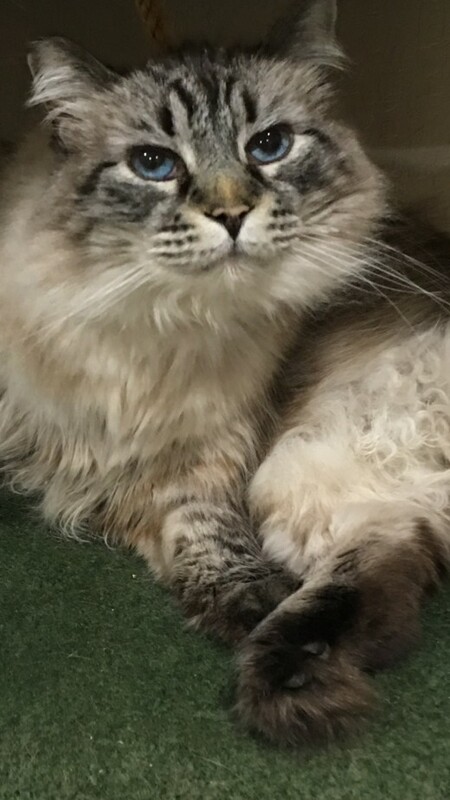 Laura Baughman: continued from previous answer... the sites usually have a separate page for cats with special needs (FIV, FeLV, blind, diabetic, etc). Laura Baughman: I can’t speak for Petfinder but our site can be used to find an FIV Cat to adopt. Most of the the organizations post, on their sites, animals up for adoption. I can’t guarantee that their sites are up to date, but due to the many myths about FIV, they FIV cats stay longer so the odds are good that people will find FIV cats looking for a home. THEN the person can contact the organization through their website directly or by calling them. Dot Bird. I’ll definitely get those 2 Australian groups added to our page. Thank you so much for sharing them! I had another idea that I tried to float to Petfinder without success. I think there needs to be a way that people who WANT to adopt an FIV+ (or FeLV+) cat can easily find one available for adoption. e.g., people who already have such a cat and want a companion for it. Knowing what rescues accept these cats still requires you to cold-call them to find out if they have any available for adoption. Is there a way to make Petfinder include these options as search options? May I please add two more shelters that take FIV cats in the UK? Liz Elias: Thank you for your note. The Cat House On The Kings are already on the list above. Since policies often change at these organizations, we do not include that type of information on the list. People need to contact them directly. Thank your for the clarification about their policies at this time. There is "Cat House on the Kings" here in California; they take in all kinds of kitties: FIV, FELV, and also any cats that may need to be quarantined. Each has their own building. I must advise, however; they are not free: surrendering a cat to them does involve a pretty hefty payment toward taking care of the animal for the rest of its natural life. Just thought I'd put it out there, as some folks don't have a problem with the fee. Studies show what owners and rescuers have known for decades: FIV cats live as long as Non-FIV cats and are just as healthy. Also that FIV cats can live with Non-FIV cats without passing the virus as long as all are non-aggressive. (Usually just a matter of proper introduction.) FIV is really no big deal. 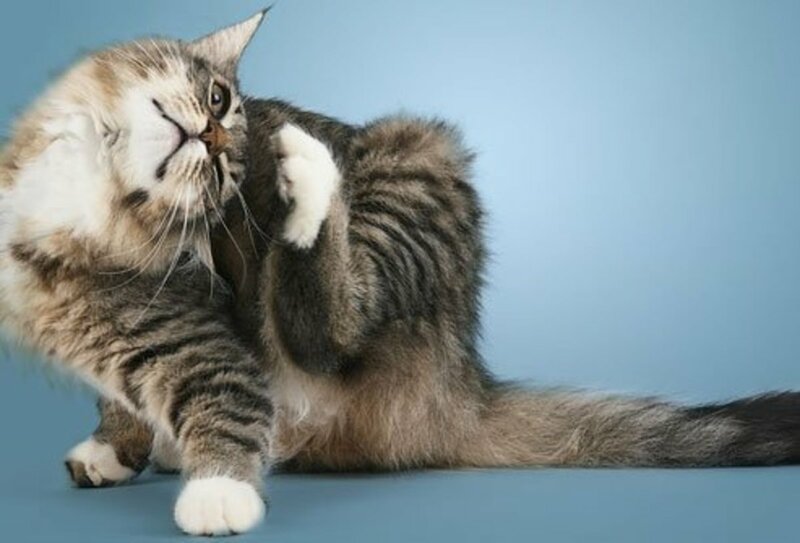 FIV is NOT passed through scratches NOR through casual contact such as sharing water or food dishes, sharing litter boxes, grooming, sneezes, nor mock fighting. The only way the kitten could pass FIV is if he gave your Non-FIV cat a deep, penetrating bite. Those deep bites are extremely rare outside of an out-and-out battle like an unneutered tom fighting for food, territory, or a female. Thank you for all the info as I have a HIV positive kitten here right now. I was very worried about cats who are negative. You can find more rescues taking FIV cats by using the info in the section above: "Find Shelters in Your Area Here"
Hi...I live in Nashville. I need a home for an HIV positive kitty. He tested negative for leukemia and I got him all his shots. I have another cat with a heart problem and a dog with cancer. I just cannot take on another one. He is so sweet. Please if anyone knows someone I would be forever grateful. Thank you. P.S. --- DUH---I looked up your profile a few hours after I left my comment; no wonder you're on the FIV Cat Rescue site! SHM at myself. Bright blessings upon you for this article! I just found this FIV Cat Rescue page on my own today, after my distraught daughter called in tears to tell me that the kittens she is fostering are going to be put down because they tested positive. I went immediately into research mode, and sent my results by email to the president and cat manager of our local rescue group. It is probably too late to save the one kitten who had been sent in today (7-24-17) for his neuter surgery (tested beforehand), but hopefully, it will save the rest of the batch. You might be interested to know that your article is on the FIV Cat Rescue website; in fact, that's how I landed here! (I am gratified to see that Purrfect Pals is listed--the source of kittens for web-famous "Foster Dad John" of The Critter Room, as well as a couple of others I recognize, one here in CA, Cat House on the Kings. Again, thank you so much for this comprehensive list. I'm writing an article that will be more about the actual illness and what to expect. I will certainly link your article in mine. Michelle -- You are correct, the SNAP aka COMBO aka ELISA test does screen for antibodies only, not the virus itself. Cats that have been vaccinated for FIV will test positive for FIV. Kittens can also inherit Mom's antibodies from an FIV vaccinated cat, which should go away by the time they are 6 months old. Can a previously vaccinated cat get a positive test result for FIV since the SNAP test is just checking for antibodies? Thanks for everything you're doing to educate the public and help FIV cats. The Ladybird Animal Sanctuary doesn't have a physical shelter yet. At one time, we did have one foster home who was taking FIV cats, but they're unable to foster right now. If you could remove our listing from your website for the moment, we'd appreciate it. We do plan to have an FIV and FeLV specific area of our shelter when we have land to build on in the future, and we'd be happy to be listed on your site again then. Peter, Thank you for your note. We were misinformed and will remove it immediately. Thank you for all you do to help FIV kitties. However, and FYI, Grayson County Humane Society in Leitchfield, KY is not a sanctuary, but an open admission city shelter that must take all owner surrenders and cats from animal control including viral positive kitties. The shelter in turn must strive to find homes for these kitties (a big task). Please remove the shelter from your list. Thank you! Thank you so much for putting together this list. It was extremely useful, and I am grateful for all you do! Thanks for your comment. NOTE: Included in the estimated 1 million cats killed worldwide are the kittens that tested positive for FIV who had inherited their Mom's antibodies which would have been gone by the time they were 6 to 8 months old. They never had it. Also included in that number are the adults cats who never had it but the ELISA aka SNAP tests incorrectly came back positive. Those tests have a 20 to 32% false-positives. So, cats with and without the virus are being killed simply due to the testing. AND, FIV is really no big deal even if they do have the virus. FIV is a diagnosis NOT a disease. FIV cats live as long as Non-FIV cats and die from the same old-age diseases. Me and my wife have 6 cats resque from the streets of Miami Beach and a dog. this beautiful and supersweet cat sitting on the sidewalk. We named Oscar, was following us like one of our own cats and didn't want lo live us. We were so worry that something could happen because his superfriendly attitude. just told us a few hours ago that he is FIV feline positive. We have to pick him up tomorrow and we have no idea what to do, we can't keep it at home but we want to save him, we can help with donation to a shelter that could help Oscar. Frankie Kangas is a goddess. At the moment, we have a "community" FIV-positive cat whom we named Vanilla. Vanilla was pulled from an uneducated family in a trailer park where he was subsisting on whatever scraps they gave him. He was thin, full of fleas, and anemic. The bunch of us had him neutered and vetted, and now he's relaxing with one of our number while we try to find him a home. At a snail's pace, I'm writing an article about the differences between FIV and FELV and have relied mainly on Frankie for info. Thank you, my dear! @myowncupoftea: FIV is NOT passed through food dishes or water dishes, grooming each other, litter boxes or even sneezes. It is usually passed through deep bite wounds. A kitten can get it during gestation, as the kittens pass through the birth canal, or through nursing. Most kittens, however, test positive because they have simply inherited their moms antibodies. These maternal antibodies almost always go away within 6 to 8 months. So kittens should be retested after that time when the antibodies will probably be gone. 3. you can monitor how much each kitten is eating to know if there are any problems. From you email, I can not tell if the momma is FIV+ or one of the kittens. It really doesn't matter, kittens, indeed most cats, will eat out of each others dishes even when they are separated. Check back in about a month. We should have our FIV book completed and we will have info on it here. There we go more in depth about the latest research and debunk the myths that plague cats that test positive for FIV antibodies. I'm a mommy to one FIV positive cat. Her doctor suggested separate feeding bowls for the mama cat and each of her kitties. @Franksterk: Thanks for reminding folks to retest FIV+ kittens. @anonymous: 5-month old kittens should be retested after they are 6 to 8 months old. They may have inherited their mother's antibodies. In fact ALL cats that test positive should have a confirmatory test done anyway due to the number of false-positives. To find homes, you can do some of the things we suggested on this site: make up flyers and post them in vet offices, bulletin boards, etc. ; email to friends and family; use facebook to post and cross post; post on the various FIV cats sites on facebook, check out the other things on this site for more. Also, check your whole state -- what city/state are you in? -- There is a non-profit that transports cats to new homes so transportation should not be an issue. Let me know if you need the link. Good luck. I have 4 beautiful FIV kittens that are about 5 months old.I have been doing TNR for years.When I find kittens I work hard to tame them and adopt them out.I have gone through all the regular adoption channels here and in neighboring counties to no avail. 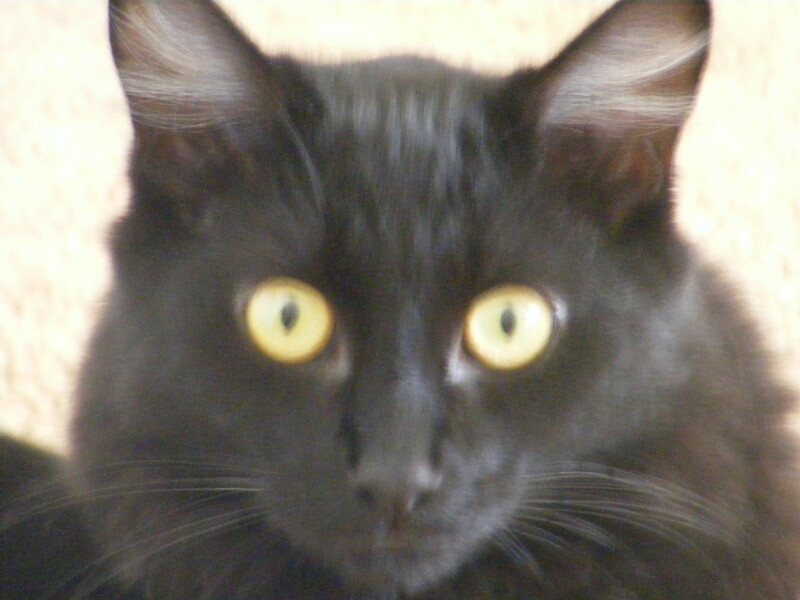 I have 19 of my own cats(live on 2 acres).Need some good advice..
@anonymous: Why can't you keep him with your cats? FIV is only passed through deep bite wounds so as long as you introduce the cats properly, there is usually no problems. I'm trying to find a home for cat with FIV. I would keep him myself but I already have cats. If anyone knows anyone that can foster him or help please leave a comment. Thank you! My brother and sister in law had a cat diagnosed with FIV for years that never developed Aids and did pass of old age while being dearly loved . Peak was a greeter cat that approached everyone so gently. @Franksterk: You've right. My FIV cats were in the 12-15 age range, so they had normal life spans for indoor/outdoor cats. I never know exact ages with these types of rescues. They were living happily at a TV station for years until someone complained. Just glad we caught them first. @KimGiancaterino: You are welcome. I'm surprised that they all lived shorter lives. I've been finding that it is never a sure thing. I just had a 15 yr-old FIV cat die but several years ago I had a 2 yr-old NON-FIV cat die of congestive heart failure (which was a shock and happened within a month) and a couple years before that a 6 yr-old NON-FIV cat that died of breast cancer. 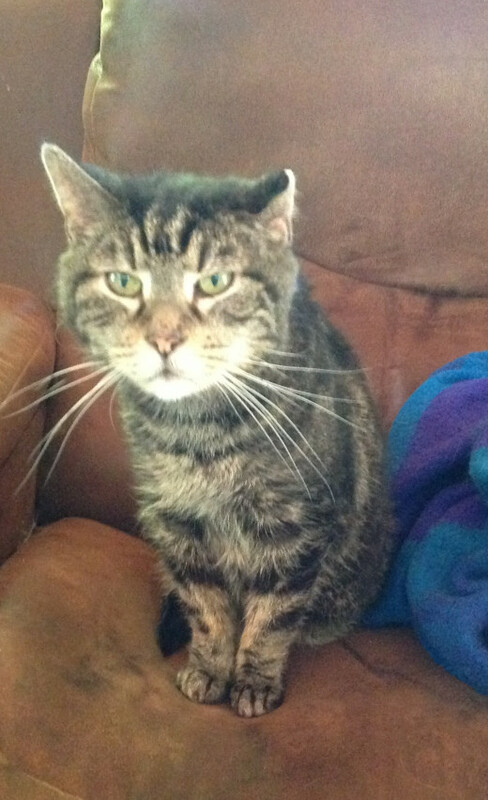 One of our FIV cats is 16 year old and a friend had one that lived to 22 yrs. Although FIV is supposed to be a very slow moving virus, it doesn't always affect a cat. In fact, most die from old age diseases just like NON-FIV cats. Thank you for helping FIV cats, and especially for educating people about FIV. The FIV cats I rescued lead fairly normal lives and did not transmit the disease to my other cats. Their lives were shorter, but they never suffered. Fantastic! This informative educational site is sure to save many lives and help us understand the facts about FIV. KUDOS to you for your very important work! I adopted a FIV positive cat 4 years ago. He was living in the woods behind someone's house in VA and got eaten by some dogs. The neighbor trapped him and vetted him and kept him inside until I came along and adopted him. JB is a gorgeous cat and so very friendly and grateful.